Feeling good about the community you live in is just as important as selecting the right home! As a native to the area and an expert in local real estate, I can help you find the community and neighborhood that best suits your needs. I am consistently available for my clients throughout all aspects of their buying experiences. From information on local entertainment and nightlife to school districts and market trends, I will be with you every step of the way to ease your transition into our beautiful community! 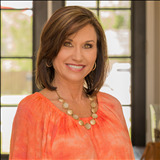 I have been proudly serving the Emerald Coast communities of Navarre, Navarre Beach, Pensacola Beach, Gulf Breeze, Pensacola, Destin, Mary Esther, Fort Walton Beach, Cantonment, Shalimar, Pace and beyond for over 20 years.